Steve Bronder has over twenty years of experience in accounting and finance working with some of the County’s most respected organizations– Ralphs Grocery, Vons/Safeway, Federated Stores, FHP, PacifiCare, SafeGuard Dental, St.Joseph’s Hospital, Robert Half Management Resources, Providence Speech & Hearing, The County of Orange, The OC Children and Families Commission. Mr. Bronder earned a BA from the University of California, Irvine, and holds an MBA from California State University, Long Beach. He’s held positions as Manager - Internal Audit, Manager – Financial Planning & Analysis, Controller, Director of Finance, and Treasurer. 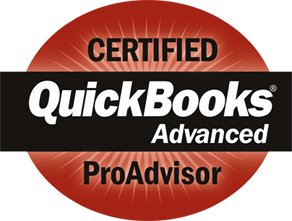 He is also an Advanced Certified QuickBooks ProAdvisor. Mr. Pico is a CPA, holds an MBT and is a graduate of Loyola Marymount. He cofounded Pico & Lull, CPA’s in 1991. His unique experience in business taxation and its effect on personal wealth brings a high level of expertise to OnTrack Accounting. “Steve Bronder and OnTrack Solutions have been instrumental in helping us gain value from our QuickBooks package and our accounting process as a whole.” – Jeff Tolly, Tolly Landscaping, Huntington Beach. We make the commitment to bring value to our clients. Our promise is to always listen to and focus on You and Your business. Our customer satisfaction policy is simple. If for any reason, you are not completely satisfied, simply tell us why and you will not have to pay.